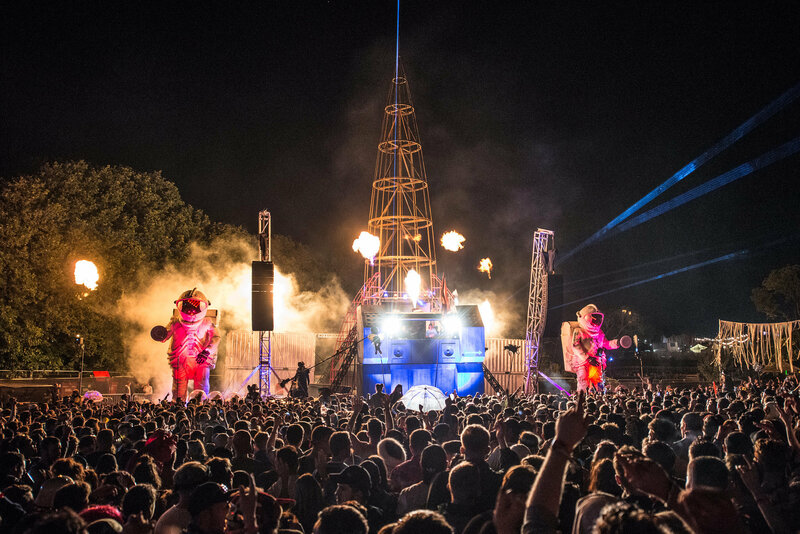 Generating £4.3 million for the economy of the Isle of Wight, Rob De Bank’s Bestival – on the second weekend in September – takes ravers back to the summer, for four hedonistic nights. The festival’s stamp is that it throws back to summer’s balmier months with one huge party, where headliners are often curated with rose-tinted nostalgia in mind (this year, it was The Cure’s turn to shine). 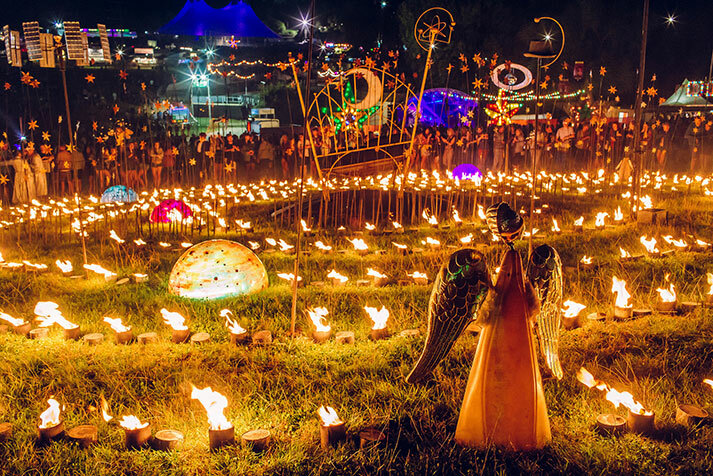 As well, Bestival tends to be the loudest, boldest, and most creatively versatile festival of the season. Described in a couple of words, Bestival’s unique creative stamp might be called ‘modern heritage’. So it is difficult to write about a rather unpredicted off year for the giant of the circuit. The site, which typically sprawls the island’s Robin Hill Country Park, was condensed for 2016, and had inpractical elements. And the headliners, which hung like question marks on the bill before the festival, soon made sense when a smaller, scaled-down Main Stage was revealed. Though the site still looked more ornamental and brightly coloured than its competitors, it was clear this year that the Bestival pot had run dry. Though the festival have since blamed bad ticket sales for their downsizing, the likely cause is expansion. Now open in Toronto, and with a ciphened dose of Bestival spirit available at sister festivals Common People Oxford and Southampton (both of which are new to the circuit), Bestival’s purse strings look to have been tightened when they booked throwback names Sean Paul and Wiz Khalifa, and commonplace Bestival performers Major Laser, to headline the Main Stage. Only The Cure could follow the likes of Elton John and Stevie Wonder as highlights. (There is the chance that they still had headliner budget and booked experimental headliners – in either case, a bad decision still cost ticket sales). The domino effect of a festival turnout of 40,000 (some 15K less than other years) meant a smaller Main Stage, with no sound carry. Ironically, the atmosphere didn’t stretch as far back as the Main Stage bar. It was symptomatic of a general lack of atmosphere across the site, with empty spaces, a smaller Feast Collective, and even some dead zones by the Faraway Forest. With no Bandstand this year and the budget for a new Balearic stage pulled, it felt like wandering Robin Hill Country Park in Bestival’s far flung corners, rather than the world class festival itself. Most obviously stripped back was The Spaceport, a new stage to replace The Port which looked unfinished. Set to the theme of The Future, the stage’s predecessor was a genuinely impressive boat reconstruction which strategically sat at the end of the site’s main thoroughfare, so that ravers could see and hear it from anywhere. Bizarrely, this year’s replacement – a metal space rocket structure with no decoration – was placed so as to forbid any reveler an easy experience. Like a lump in the throat of the site, The Spaceport’s sound and visuals pushed out to a piece of festival land only accessible via one blocked choke point. By 11pm, accessing the site’s main nightlife was like an exercise in trading the Wall Street Crash. 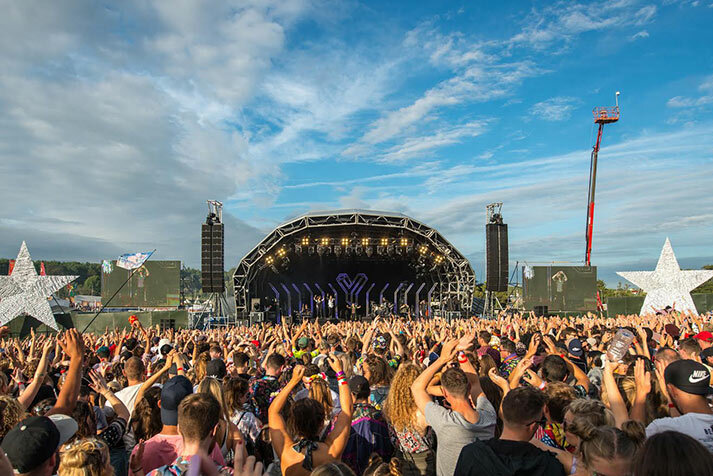 Bestival said the intimate look and feel of the festival was ”going back to our boutique roots.” The comment was glass-half-full positive retort, but given that headliners were booked before ticket sales struggled, it read rather uncomfortably. But, to borrow from De Bank’s hall-full glass, Bestival’s annus horribilis might have been the slip in fortune needed to entrench Bestival’s future. So as to grow and take this wonderful beast worldwide, the creative team mustn’t back-foot their flagship again. Bestival’s biggest mistake wasn’t cutbacks, but blaming the cutbacks on the changing face of ‘festival land’. That argument loses its common touch when Bestival’s production company unveiled two major new festivals in the past twelve months. 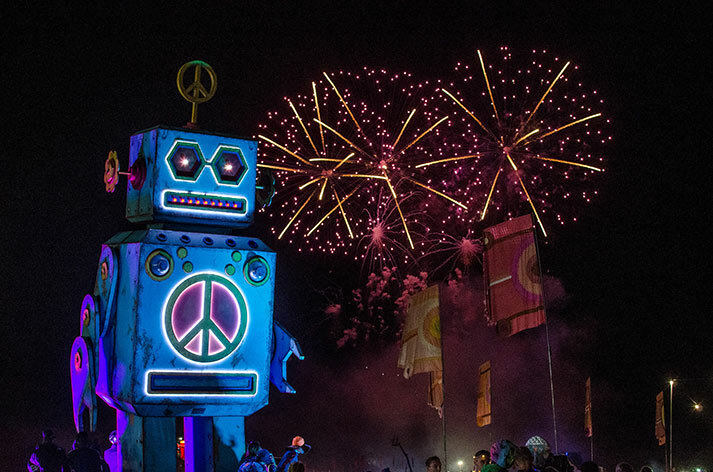 Bestival’s future relies on investment in its flagship – so growth may need to slowdown a tad first. I, like so many others, adore Bestival and wish them the best for 2017.